MBBS, FRACGP, DRANZCOG, Graduate Certificate Allergic Disease. Interests: Women’s Health, Paediatrics, Preventative Health Care, Obstetrics (Shared Care), Allergies. Consults: Monday, Tuesday, Wednesday, Friday and occasional Saturdays. 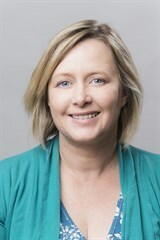 Jo graduated from the University of Melbourne in 1990 and thereafter completed hospital training at the Royal Melbourne Hospital, the Royal Children’s and Western Hospital. She completed a Post Graduate Obstetric Diploma, and attained the top prize in doing so. Jo has a special interest in Allergy testing and management, and is Chairperson of the Allergy group of the RACGP College Specific Interest Group. Her other clinical interest include women’s health, shared care, infant sleep dysfunction, paediatrics and preventative health care. Jo has affiliations with the Masada Hospital Mother Baby Unit that helps mothers and infants with sleep concerns. Outside of medicine Jo is married with three children and enjoys running, reading and gardening in any spare time!